What do Doctors love doing on the Internet? Thanks Doctor for visiting. We are conducting a survey under the prerogative of Indian Health Journal. We would love to hear about how you spend your time on the Internet. 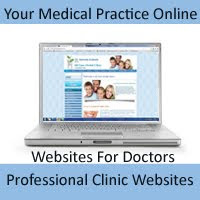 Hoping to make the online experience for Doctors an enriching experience. Medical industry in India is proud to have adopted the latest medical equipments in every specialization and has achieved tremendous results in terms of rapid and effective treatment. The benefits that the Indian IT sector has made in the global village the past 15 years, are now being extended to the Indian Healthcare industry too! Moreover, the paper-based records are now shaping into Electronic Medical Records storing all the patient details along with the medical history and previous visits. Searching a patient record barely takes seconds and all the information is available at fingertips. 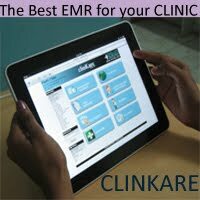 Dr. Khanna cites out the benefits of EMR, “With EMR, the medical records are a proof which reduces the conflicts between doctor and patient. If a patient visits two dentists for treatment, with the software now it is easy to show the patient which treatment he came for to avoid the confusion.” Dr. Khanna confides in software stating that he can now provide warranty with the treatment as he successfully manages and tracks the patient records strengthening the patient-doctor relationship. Most of the clinics are still maintaining the paper based records which eventually lead to frustration and chaos. There are some clinics where the doctors prescribe medicines on a follow up visit memorising the patient history which proves dangerous for the patient as well as the doctor! Imagine how much better it would be if the doctor knew the patient history and accordingly prescribed the medicines? That’s where the software plays the role and reduces the risks of memory-based treatment. 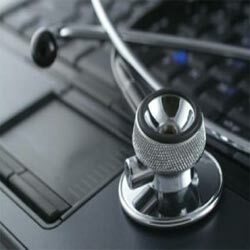 The doctors of “technoclinics” are enjoying their practice because they only have to concentrate on proper diagnosis and treatment whereas the entire clinic administration is managed by the software. Within the coming years, its predicted that the majority of clinics will resort to software, thus improving their practice, benefit in terms of hassle-free practice, improved profits, time and money savings and also building stronger patient relationships. This revolution is what awaits the healthcare sector in India. "Facebook has seen unprecedented growth in the last 4 years. From a small community site, specific to colleges, it has overtaken Google to become the favored haunt of the webophile. One of the reasons for this has been the number of applications that are built on Facebook, but a bigger reason is that because "Everyone is On Facebook". Lets face it, if you want to know what someone did last Sunday, or last month, Facebook is a bigger help than any friend that you have. Coming to the point, the last year has seen a serious growth in the number of doctors creating Facebook profiles"